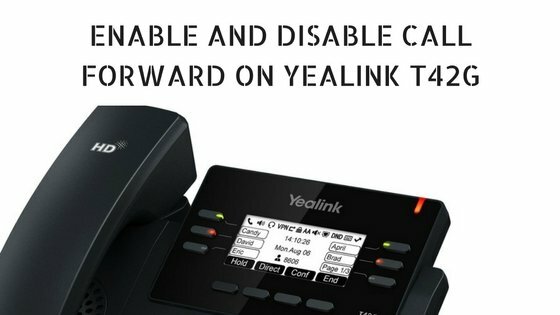 You can easily enable or disable the call forward services for the phone Yealink T42G. 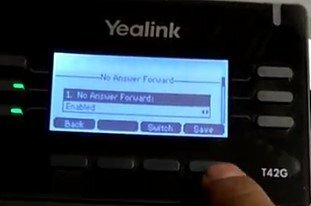 Learn more from this Yealink T42G user guide. You can configure the call transfer using web user interface and phone mode. Here in this article, we will be guiding you to enable with phone mode. Step 1: Press the Menu button. Step 2: Go to Features >> Call Forward >> No Answer Forward option. Step 3: Press the up-down buttons displayed below to select the desired forwarding type and then press the Enter soft key. Initially, the service is disabled. Always Forward: Press similar kind of left-right arrow button to enable from the Always Forward field. Step 5: Save the configuration settings to see the change. Step 6: To see the changes, go back to home using the back button and you will notice the U-shaped arrow directing right which indicates Call Forward is enabled. 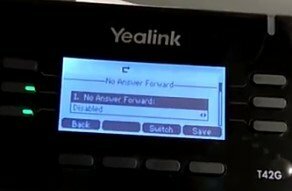 Step 1: Go back to the Features >> Call Forward >> No Answer Forward option using Menu button. Step 2: You have to disable the No Answer Forward option and Save the configuration. 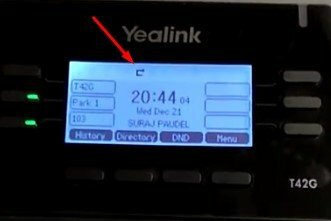 Having trouble configuring the Yealink T42G for call forward or any issue.